Let me tell you the story of yesterday. Or rather, of yesterday afternoon. We stopped at the gas station. Two French hot-dogs and bad cups of coffee later we turned right on the old road towards Kusmark. It had only been a couple of weeks since our last trip and yet, the never-ending sun turned the fields into a thousand shades of green. There is the blue-green of the conifers, and the vibrant tarnished-gold of sunrays through the birch leaves. A wonderful forest made of apple trees and lilac, bursting and blooming, not unlike a kaleidoscope. And just like the road, Svante’s garden had become a wonderful forest made of apple trees and lilac, bursting and blooming, not unlike a kaleidoscope. 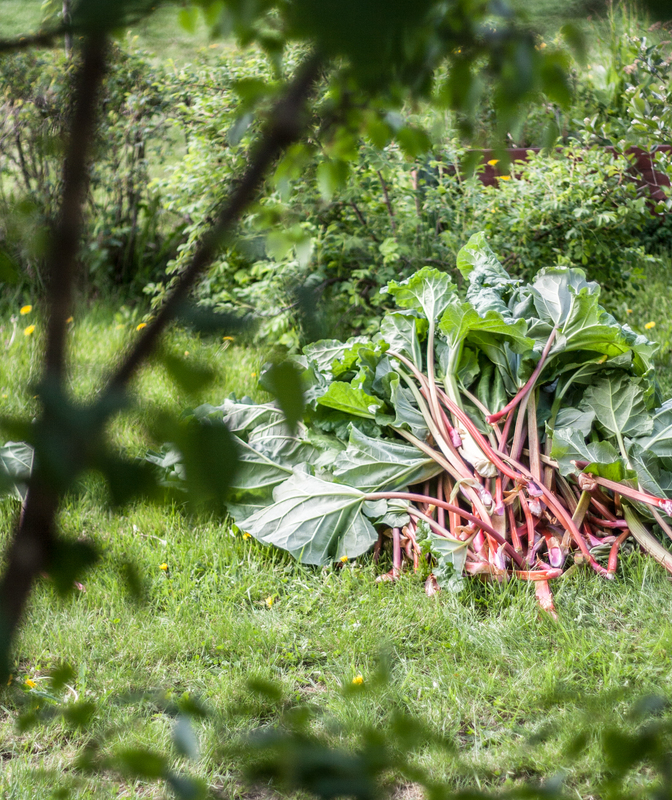 I took my shoes off as I stepped out from the car and ran to the rhubarb plants, wondering how big they would have grown. And if it’s anything to go by I’d say that it must have been much warmer this year than last, as they reached a good twenty centimeter above my head. We picked and trimmed. And picked again. Two bushes gave us a little over twenty kilograms, perhaps even thirty. All while we left the last plant – the one by the mountain of chopped wood, drying for the winter – mostly untouched. This is the aftermath. A beautiful mess, of some sort. The bigger-than-I’d-ever-seen leaves went into the compost, and the stalks – at times green, at times red – were washed under ice-cold water, and stuffed into plastic bags. 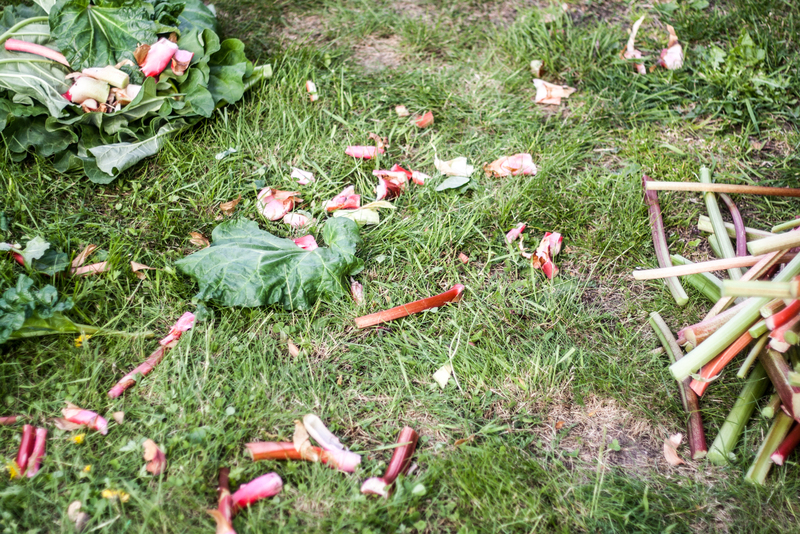 I might not be the most frequent blogger, but you can be sure to see me at least once a year as rhubarb season approaches. There is something about it that I can’t quite pinpoint. Most likely one of these cliché childhood memories of my grand-parents potager [vegetable patch] in Fouras. And just like a forever-carousel of happy recollections, neatly-arranged jars of confiture de rhubarbe [rhubarb jam] and silent wishes, here is my not-so-official June* rhubarb list. 1. Dipping peeled rhubarb stalks in sugar, just like K. told me about a few years ago, on one of the many summer nights we spend on the south bank. 2. Cooking rababersaft [rhubarb cordial], which everyone here freezes in small water bottles to bring a bit of summer throughout the winter days. 3. Maybe, making a batch of rabarberbullar [rhubarb buns]. 4. And an upside-down rhubarb cake. 5. I’ve been looking forward to trying Tartine bakery’s galette dough; and really, I think a rhubarb galette needs to happen. 6. Baking my favourite cake: a soft vanilla sponge with bits of chopped rhubarb and a swirl of rhubarb jam, little pockets of cheesecake and a heavy handful of streusel sprinkled over its top. 7. Of course, rhubarb jam. Not a year should go without. 8. I’ve been dreaming of creating a simple ice-cream recipe – with no special sugars (hejdå dextrose and atomised glucose) and no stabilisers (with perhaps, cornflour or gelatin as a thickener). And given the state of my fridge-turned-rhubarb-storage, I might have to start with rhubarb creamsicle ice-cream. TBC. 9. Thick sliced of brioches, French-toasted just so, with a generous spoonful of rhubarb compote. 10. 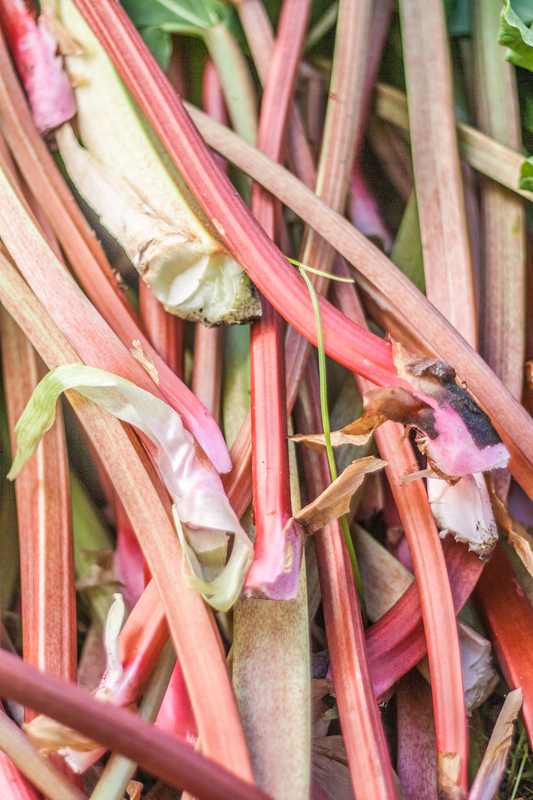 What’s your favourite rhubarb recipe? 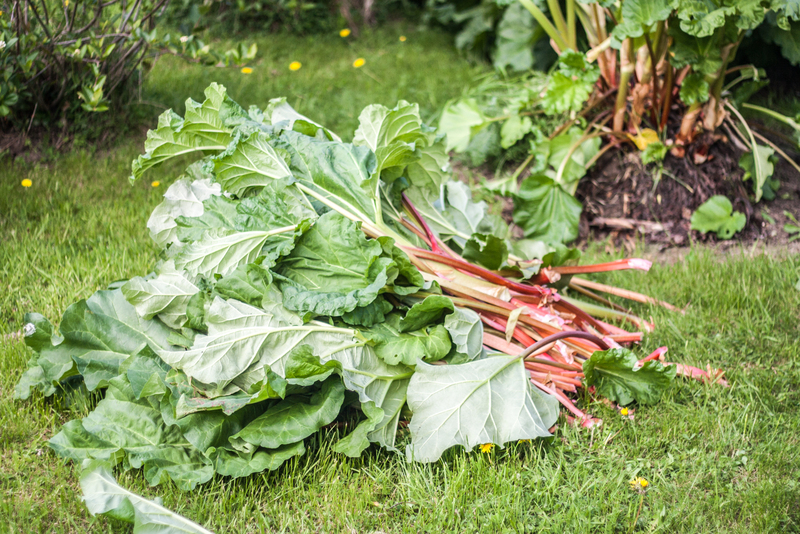 How do you deal with your bountiful plants? The cake, Fanny! The cake! PLEASE blog more. I’ve made a cake with chunks of roast rhubarb and ribbons of fresh custard throughout, but not jam! Not CHEESECAKE! Oh do please blog more…that has to deserve its own post. 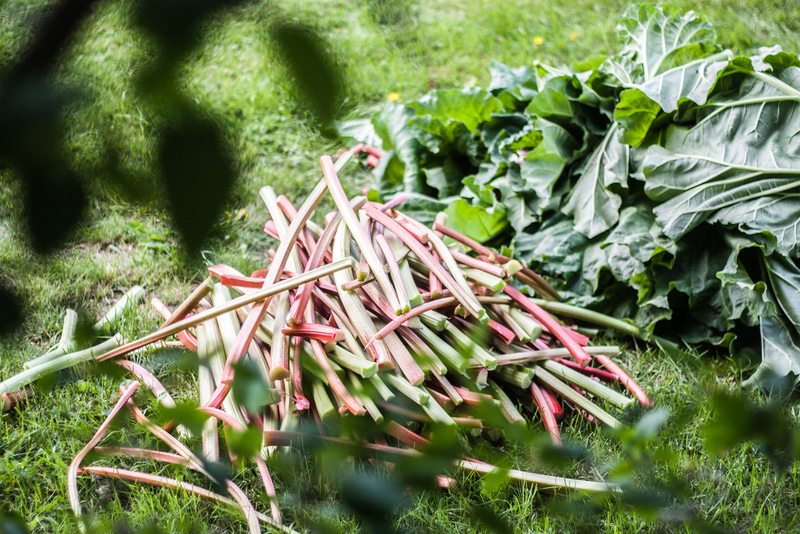 I love rhubarb too and make several things each year. I usually chop a load up and put it in vodka. This year I’ve made rhubarb chutney for the first time – it’s fab. Yes Fanny, that Tartine galette dough is great!